The antichrist is supposed to rule the world, but Chris kind of told the ghost of his father-in-law he’d rather have the love of his wife. And he’d meant it...at the time. However, Chris was born with a destiny. He is the prince in waiting. The Destroyer of Nations. A failure with no magic, no armies, and now, no longer even a psychotic mother he can call upon. Is he destined for a mundane life? Good thing fate has other plans: plans that include him becoming Hell’s king. 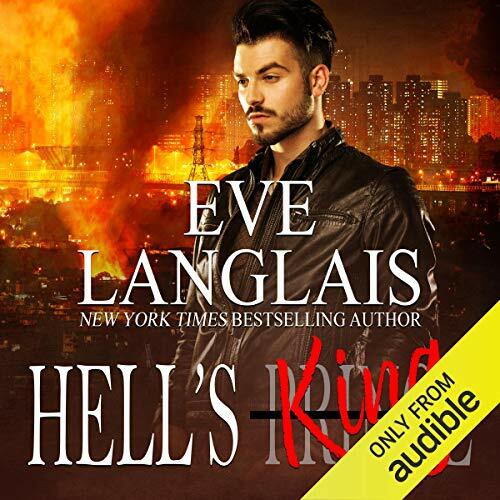 ©2017 Eve Langlais (P)2018 Audible, Inc.
**I received a free copy of this audiobook and voluntarily chose to review it. Will things ever turn out right for Satan's son. You'll just have to sit down and read all the fun and silliness.